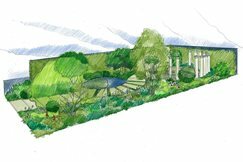 Another Award Winning Garden, Designed by Charlie Albone, Melbourne International Flower & Garden Show 2017! We are proud to announce we have come home with a Silver Gilt Medal RHS Chelsea Flower Show 2016! We are proud to announce we have come home with a Silver Gilt Medal RHS Chelsea Flower Show 2015! 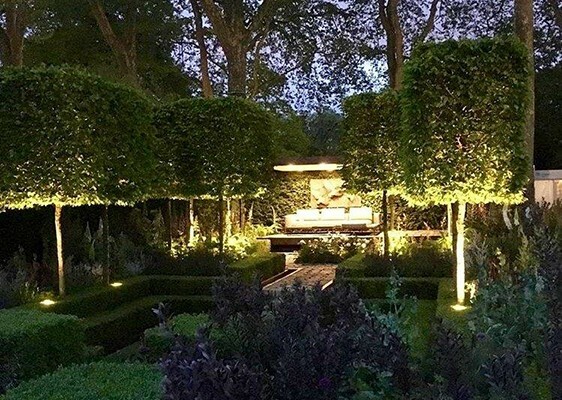 our return to the Chelsea Flower Show, UK. forward to working with Charlie Albone and Conway Landscaping. The garden is called ” The Time In Between”. 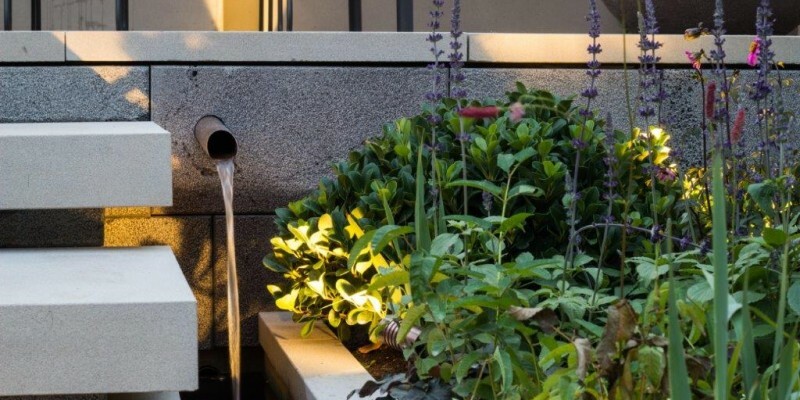 The story behind the garden – a space to update his late father about his life since his father passed away. Aged just 17 when he lost his father, Charlie has been keen to tell his father about his life since. 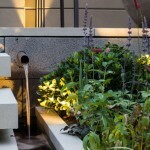 An emotive space, the garden has different sections, each telling the story. 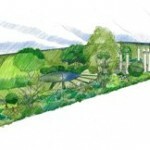 The first section celebrates life with beautiful, romantic planting; a water feature in the second section which is a space for reflection; and the third, at the rear of the garden, is an intimate space to sit, connect and communicate with loved ones. Varied textures and colours including silver, white, purple and pinks complement the hard landscaping with planting to be enjoyed and supply interest all year round with a highlight in spring. 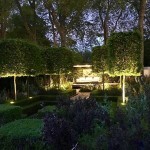 The lighting design needs to reflect the emotiveness of the garden. ME Lighting are experts in Lighting Design and installation with over 12 years of experience.